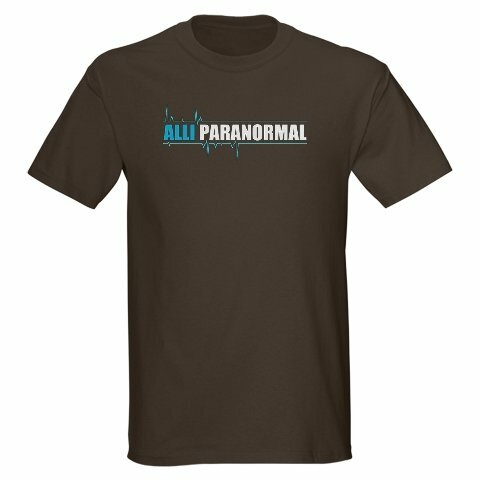 We're slowly gathering and selling ALLI Paranormal Merch to help fund our equipment, etc. Check back often, we'll have everything from shirts and hats to bumper stickers and mugs! 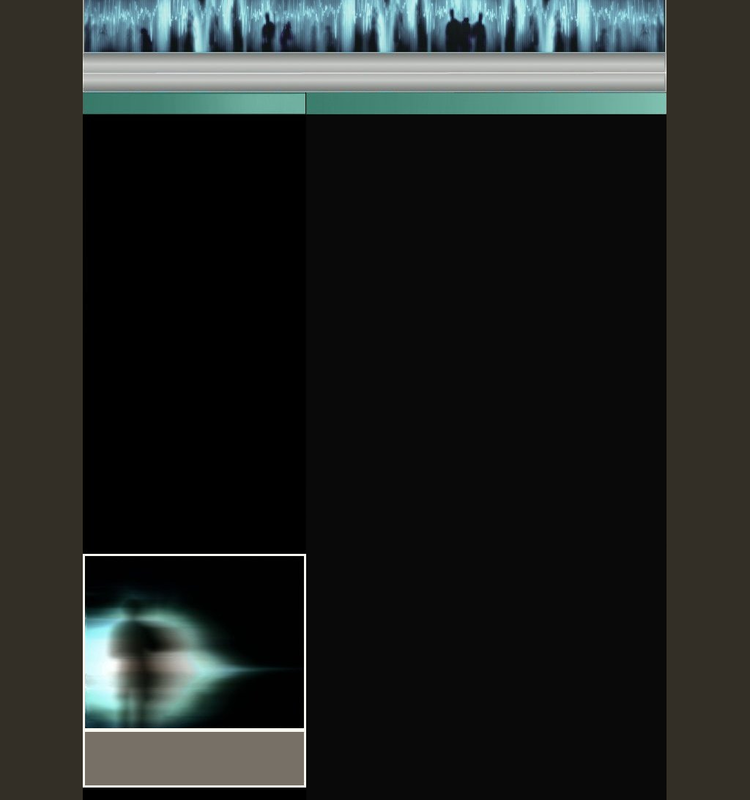 This page is building and we will be adding to it as it comes along. 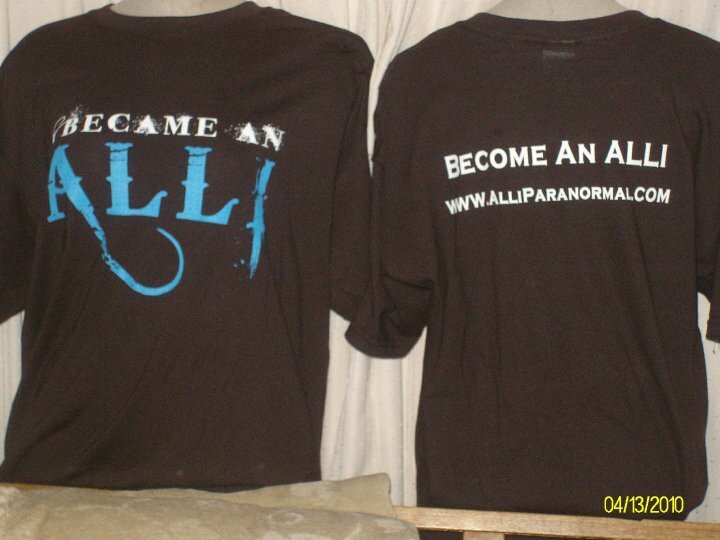 $20 Donation Gets You This "I Became an ALLI" T-Shirt, and a DVD copy of our Season 1 Webshow: ALLI's Paranormal Investigation Files! 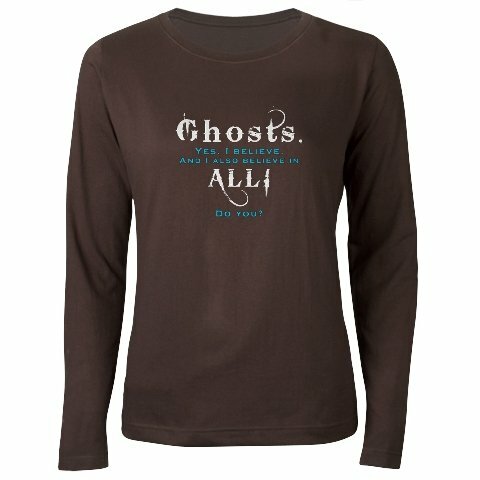 at our CafePress Store! TS-002: Relax, It's Just a Dorb! TS-003: Ghosts. Yes, I Believe. 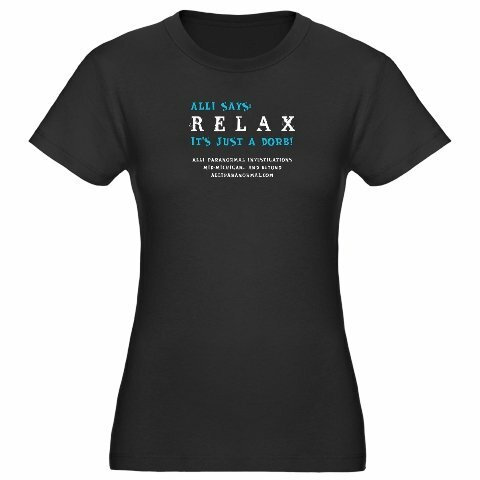 at our CafePress Store! 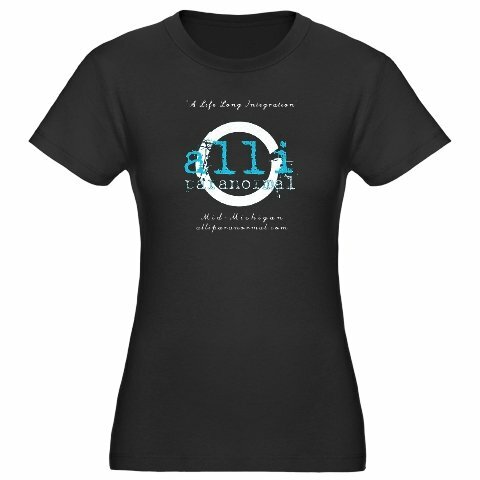 TS-004: ALLI Circle Graphic.